Julie Maven, Centre Manager, said: “Each year we apply to the community chest, because this funding is especially important for our organisation. It allows the team to do as much as possible to help the local residents. 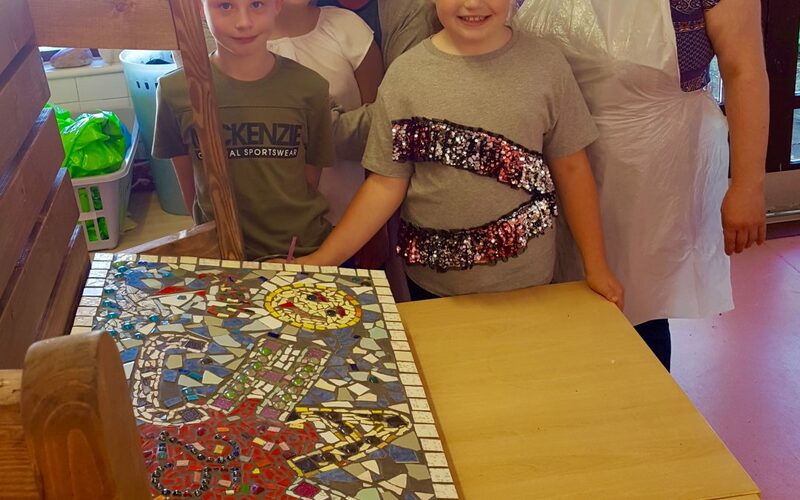 Cllr Victoria O’Neil, a Labour ward councillor for the East End, said: “CHANCE’s ability to engage with local children and artists, and turn its 25th year into a project that involves the community is testimony to the organisation itself. “We are here to help everyone in the local community, and while we’re based in the East End our reach is much further – especially during the school holidays,” said Julie. “Over the summer we arranged camping, swimming and lots of other fun activities and days out for children. Julie said: “Our local Labour councillors, Cllrs Mordey, O’Neil and McClennan are a part of our community centre – they speak to residents, volunteer at our groups and even run a monthly drop in surgery from the centre. It’s especially great to see local children engaging with their councillors – they’re always keen to have a chat and ask lots of questions, and the councillors are always more than happy to engage. Cllr Mordey, deputy leader of Sunderland City Council and Hendon ward councillor, said: “CHANCE is at the heart of the local community in East End, and we do what we can to support it – whether it be financially or by volunteering at their groups. “For the last 25 years, CHANCE has been an organisation committed to helping local residents – we are delighted to be able to protect it, support it and enable its further growth. Sunderland Labour Group cares for our communities, and we want to see them grow and thrive.